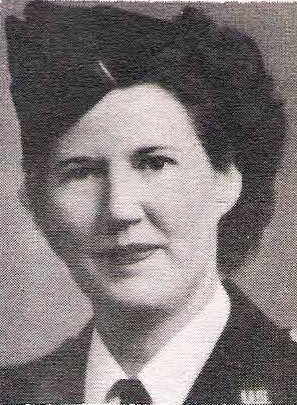 1st Lt. Ruby Gadberry, daughter of Mrs. J. L. Kadberry, Olney, graduate of Baylor U. School of Nursing. Entered Army, 1942, trained at Ft. Sam Houston, Texas. Served in Africa and italy. Awarded Pres. Citation and ETO Ribbon with 3 Battle Stars. Discharged in 1945.
note: unsure of correct name spelling Gadverry vs Kadberry. Both variations were used in the 1940's publication.